Call 702-462-9200 right NOW and we will immediately help you. 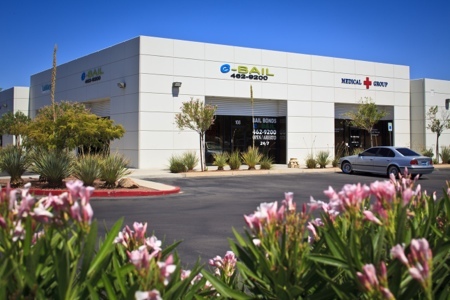 eBAIL offers ONLINE BAIL in 3 minutes or less and also Bail by phone by calling 702-462-9200.
eBAIL is the only company that offers online bail bonds in Las Vegas. All you have to do is to click here for the online access, fill out the information, use your credit/debit card and “presto” you will be done in a few minutes. A friendly agent will contact you a few minutes after and explain the process to you and also answer any question you have regarding Las Vegas bail bonds. 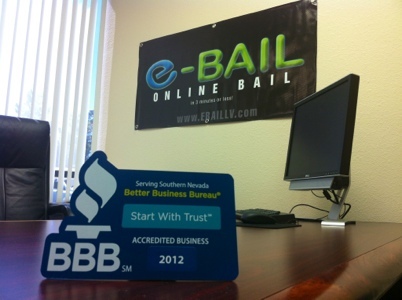 eBAIL also offers the bail-by-phone option by calling 702-462-9200. A friendly member of our staff will answer all your questions and also explain the bail bonds process in Las Vegas to you. We will also be able to provide you with the next court date, case number as well as the charges. Our office is located at 3100 E. Charleston Suite 108, right on the corner of Charleston and Mojave and just minutes from the 95 Freeway and I-15. This office has been serving good people with their bail bonds needs since 2010 and its central location makes it accessible from any part of Las Vegas within 15 minutes. If you need directions or if you even want someone to meet you at your place of residence or work call eBAIL right now at 702-462-9200. Pay the full bail amount This is the most expensive option since the full bail amounts are usually in the thousands or even tens-of-thousands of dollars. If you choose this option all you have to do is go to the jail or court and pay with a cashiers check, money order or even credit card. Pay only 15% of the full bail amount. This is the cheapest option. NV Law, NRS 697.300, requires that you pay to a bail bond company 15% of the bail amount. If any company charges you more or less they are acting illegally and can loose their license as well as be criminally charged. 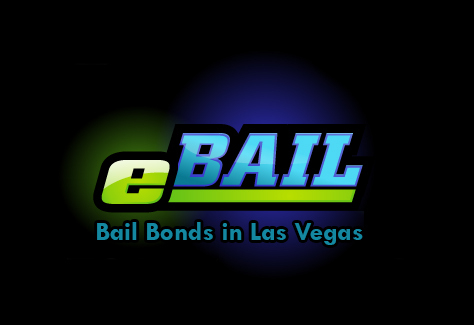 eBAIL is the only Las Vegas Bail Bonds company that offers financing of the 15% and has even has ZERO MONEY DOWN programs so call 702-462-9200 right now. Clark County Detention Center: The CCDC is the largest jail in Las Vegas and is located at 330 South Casino Center Drive right next to the Golden Nugget Casino. Their bail window is closed every day from midnight until 8 am for paying and posting bail bonds. Their release process can be as fast as four hours and as long as 24 hours, but is an average of 14 hours. Inmates will be released on the back side of the CCDC by the big grey gates on First Street between Clark and Bridger Street. City of Las Vegas Jail: The City Jail is located at 3300 Stewart Avenue backed up against the 95 freeway, between Pecos and Mojave Street. Their bail window is open 24 hours for paying and posting bail bonds. Their release process can be as fast as six hours and as long as 24 hours but is an average of 16 hours. Released inmates from this jail are being transported behind the CCDC and released. City of Henderson Jail: This jail is only 15 minutes from Las Vegas on 18 Basic Road in Henderson. Their bail window is open 24 hours for paying and posting bail bonds. This jail has the following release times: 3am, 10am and 9pm. Released inmates will exit the jail to the right of the 18 Basic Road main entrance, where the benches are. 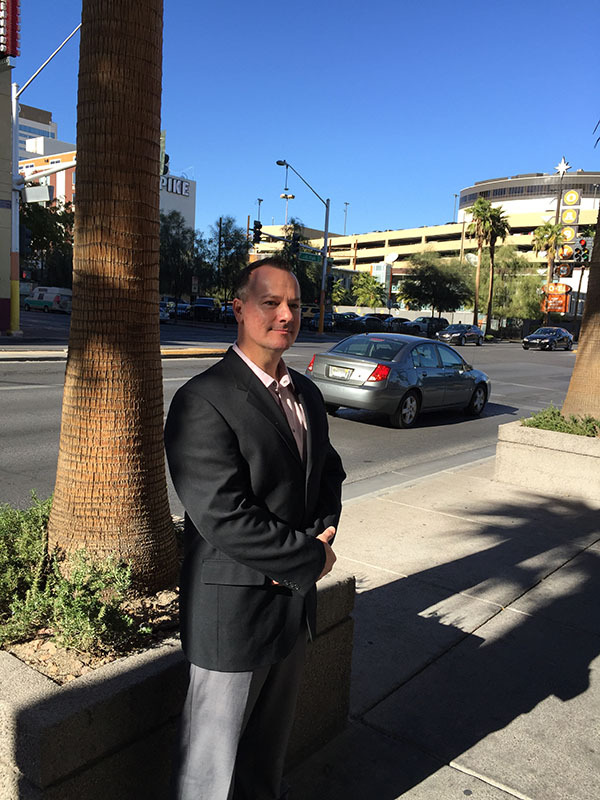 This news article was posted courtesy of Marc Gabriel who is a Las Vegas Bail Bondsman. Follow Marc on Facebook, Google+, Twitter, LinkedIn or YouTube.